Schedule service TV Passport has listed Yu-Gi-Oh! 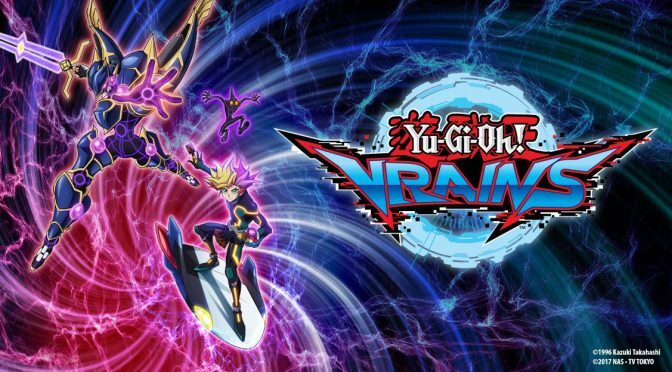 VRAINS on Canadian network Teletoon for September 1st and September 2nd at 1:00PM EDT. New episodes are scheduled to air on both days, with episode 1 “Link into the VRAINS” set for Saturday and the second, “Seize the Wind!”, due on the Sunday. The Saturday slot had been occupied by reruns of Yu-Gi-Oh! Arc-V since that show’s conclusion on June 22nd. Arc-V’s former Friday 7PM premiere slot has been replaced by Craig of the Creek re-runs. Yu-Gi-Oh! 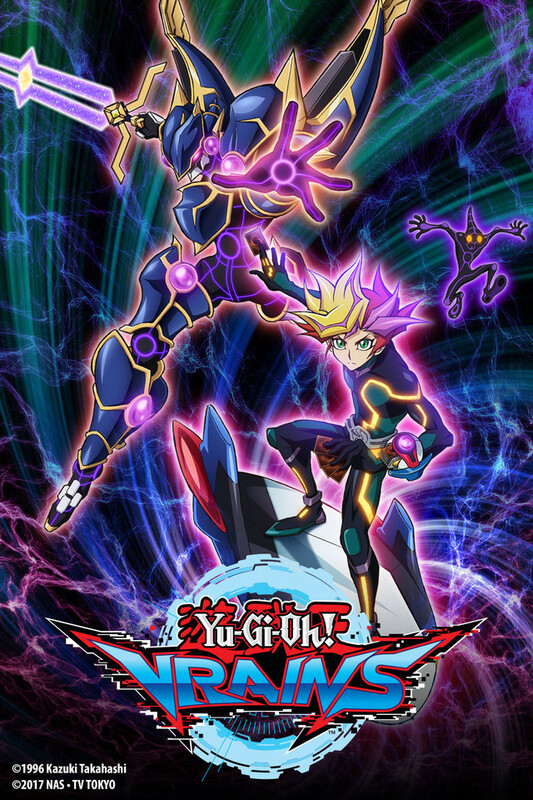 VRAINS premiered in Japan on TV Tokyo and its affiliated networks in May 2016. Crunchyroll later began streaming the series as it airs. 4K Media ran the first dubbed episode as part of the Yu-Gi-Oh! The Movie: The Pyramid of Light theatrical re-release in March of this year. In “Den City” where the latest network has developed, people were dueling day and night in the VR world called “LINK VRAINS” managed by SOL Technology Inc. The main character, Yusaku Fujiki is a quiet high school student with a great insight. He has been dueling, transforming himself into his avatar “Playmaker”, to battle the “The Knights of Hanoi” that plots to destroy “LINK VRAINS”. Yu-Gi-Oh! 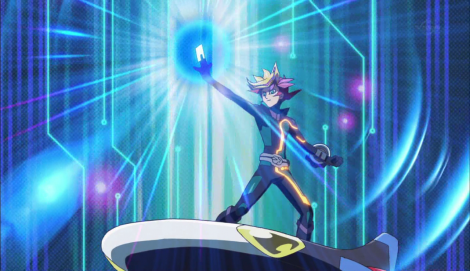 VRAINS is the sixth television anime in the Yu-Gi-Oh! franchise. Masahiro Hosoda (Heroes ~Legend of Battle Disks~ , Nangoku Shounen Papuwa-kun) is directing the anime at GALLOP. Shin Yoshida and Ken’ichi Hara are returning from previous Yu-Gi-Oh! anime to work on series composition and character design, respectively. Masahiro Hikokubo is again handling the duel layout. Yuki Matsuoka (Yu-Gi-Oh! 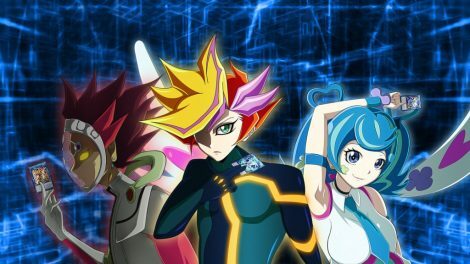 Zexal, Yu-Gi-Oh! 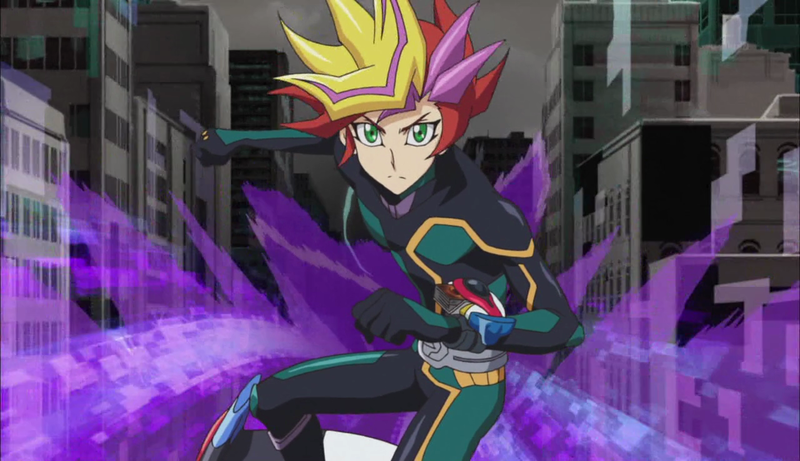 Arc-V) is serving as sound director, and Shinkichi Mitsumune (Yu-Gi-Oh!) is composing the music. Note: Canada is one of a select handful of countries blocked from Crunchyroll’s simulcast of the show’s Japanese version. This is the first time Canadians will be able to officially watch Yu-Gi-Oh! VRAINS beyond the aforementioned theatrical preview. Previous PostKONAMI ANNOUNCES YU-GI-OH! TRADING CARD GAME, DUEL LINKS ACTIVITIES AND MORENext PostCameron Neal is the Ultimate Duelist at the UDS Invitational Summer 2018!